Maysville, Missouri…..Marvin Eugene Sproat, age 88, was born May 21, 1929 the son of Richard and Gertrude (Metzinger) Sproat in Iola, Kansas and passed away August 25, 2017. 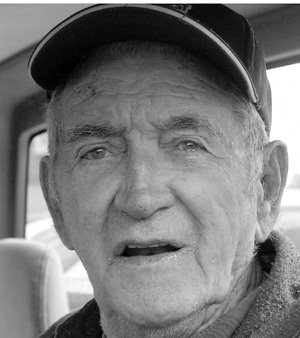 Marvin served 22 years in the United State Navy and served during World War II and Korea. After retirement retiring from Navy, Marvin was the Water Department Superintendent for the City of Maysville. He loved to farm, hunt, fish, ride horses, and was an avid baseball fan (especially the Mustangs). Family was most important to Marvin, and was a loving father and grandfather. He is preceded in death by his parents; wife, Frances Sproat; son, Jesse Sproat; daughter, Diana Sproat; and two brothers. Survivors include eight children; one brother; one sister; and numerous grandchildren and great-grandchildren.